Opposing forces, yin and yang, power and obsequience. 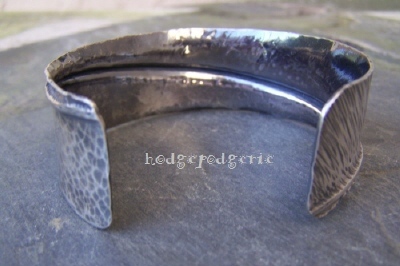 These seemingly incompatiible traits are beautifully reconciled in this Sterling silver cuff bracelet. 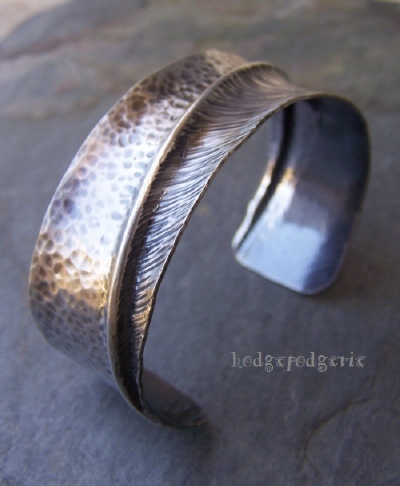 Light feathery strokes on the one half are offset by a powerful hammered texture on the other half. Separated, but only slightly, by a thin fold-formed barrier. 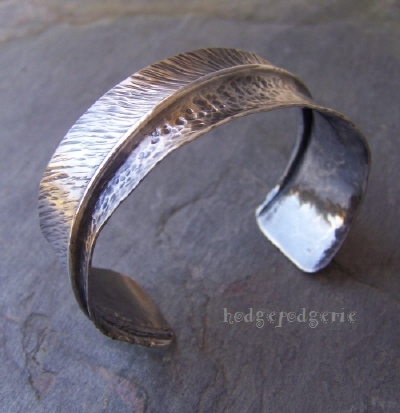 Hand-forged from heavy gauge Sterling silver sheet, this pleasantly weighted cuff bracelet measures 7/8 inches wide. 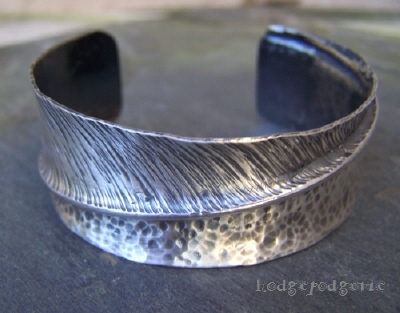 Return from "Opposites Attract Sterling Silver Cuff" to "Bracelet Gallery" page.